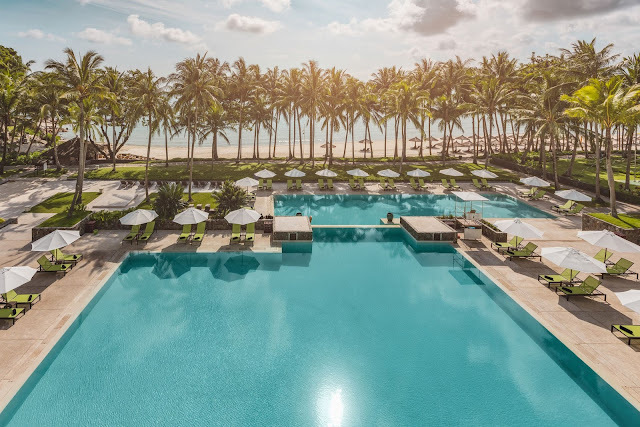 Home Bintan Club Med Guide Travel Ideas Grab a friend and travel without the flight with an all-inclusive package by Club Med! Grab a friend and travel without the flight with an all-inclusive package by Club Med! Yes, now you can travel not at the expense of your holistic experience and without the flight! Get a complete list of what you can look forward to in Club Med Bintan. When we say all-inclusive, we really meant all-inclusive! Return ferry services and land transfers are provided in the package, all you have to do is pack your bags and go. To give you a holistic experience at Club Med, their packages are for a minimum stay of 3 nights. That's when you get the most out of your experience with Gentils Organisateur (GO) which is the endearment Club Med proudly calls their staff. The staff in return endearingly calls you Gentil Membres (GM). Of course, they don't call you by GM itself, every Club Med staff puts in the effort to remember the names of their guests as much as possible! Don't worry about getting bored, aside from the number or bars and one nightclub that is available, non-motorised sports activities are also included in your package. Let loose and oil those joints by having a go at the flying trapeze. We dare you! Parents who are looking for a solo time need not worry about having someone to look over your kids. Let the GMs do it for you – there are various kids club that caters to different age groups – the Mini Club Med (4~10 years old) and Junior Club Med (11~17 years old) are included in your package. To end off a fun-filled day, Club Med offers unique nightly entertainment full of excitement, like the poolside trapeze act. Enjoy your dinner right by the poolside and get entertained. Until 27 July 2017 only, WeekendGoWhere offers Club Med's all-inclusive package at 58% off! For more info, click here.